One of the most important as well as attractive parts of our looks is beautiful healthy shiny hair. But taking care of your hair and achieving the hair goals requires proper maintenance. You need to take into account a lot of things for that and it’s not an easy duty to get that desired hair you crave for. With time things changed and so did hair styling but maintaining and balancing a healthy hair routine can never change as it is the foundation of all. With time only procedure and techniques change but not the basic need. To get the perfect hair style have you ever wondered how much stress and torture your hair goes through in order to get you the exact styling you desire? The various chemicals that you use, hair spray, blow dry, etc. all these slowly start damaging the texture of your hair. 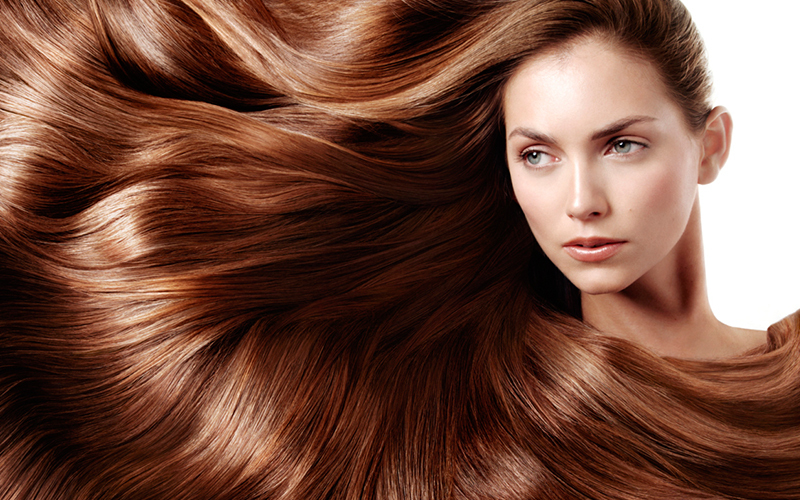 The main mantra for a healthy and glossy hair is keeping both your scalp and hair clean from root to tip. Apart from washing the hair the key part of a shiny hair is deep conditioning that should be done atleast twice a month. Generally conditioner is used after rinsing your hair on wet hair. When your hair and scalp is wet the hair cuticles expands and open up. This time it soaks all the necessary ingredients that are food for the hair. To let your hair soak all the important substances wrap your hair with a plastic shower cap after applying moisturizer based conditioner. The wrapping of the cap allows deep penetration of the products. This leaves your hair softer, shinier, and smoother than before. Needless to say the amount of product to be used and procedure depends on the hair quality. If your hair is already too much damaged due to colouring or lack of proper care then you need to invest some extra time for some extra care. Check out below Jessica’s tips for gaining a shinier healthier hair by deep conditioning. First, comb your hair nicely to clear all the tangles and knots on your hair. Then part your hair in four different sections and clip them with big hair clipping clamps to secure each section. This helps you to work easily on your hair without messing it up. Secondly, on the wet hair apply conditioner using your finger tips covering from mid part of the hair to the extreme tips. Start coating the strands this way. Then using a “detangle hair brush” comb your hair gently to spread the conditioner thoroughly. First start brushing with the bottom part then gradually move up toward the roots of the hair. This causes fewer tangles. Thirdly, after the above two steps take each of the detangled section and twist them by applying the double strand twisting method. This will lead atleast big 8 twist in your hair. Lastly, cover your hair with a shower cap to create a closed effect on your scalp. This helps locking up the essential moisturizer and oil inside your hair follicles as well as your hair. Now apply heat from over the cap to help soak the moisturizer quickly and also to maximum amount. A quick helpful tip here; once the conditioning process is over use your soft used t-shirt or any soft cloth to dry your hair rather than thick towel. That’s all about the deep conditioning treatment to make your hair look healthy and happy. If you think you are going through massive damage and cannot handle this process home then visit the “posh hair salon”. They provide various hair cure treatments as well deep conditioning. Get in touch with hair experts in the salon for best results.